Takeshi Obata Takeshi Obata was born in 1969 in Niigata, Japan, and is the artist of the wildly popular SHONEN JUMP title Hikaru no Go, which won the 2003 Tezuka Shinsei "New Hope" award and the Shogakukan Manga award. Obata is also the artist of Arabian Majin Bokentan Lamp Lamp, Ayatsuri Sakon, Cyborg Jichan G., and the smash hit manga Death Note. Tsugumi Ohba Born in Tokyo. Hobby: Collecting teacups. 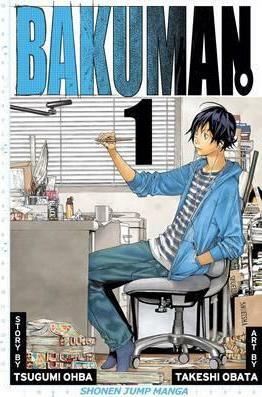 Day and night, develops manga plots while holding knees on a chair.